When it comes to providing school children with the best standard of education, there is a growing acceptance that introducing technological aids and devices in the classroom is of considerable benefit. Children feel at great ease and comfort with tablets and smartphone devices and clearly there is a great level of information and teaching aids that can be displayed and shown on these devices. With many educational bodies receiving support or discounted access to these modern devices, tablets such as iPads are commonplace in schools, colleges, academies and universities all across the United Kingdom. This is great news and it will hopefully make the education process more fun, engaging and worthwhile for students. However, as we all know, tablets and electronic devices are fantastic while they work but of no use or benefit when they don’t work. A teacher or professor trying to deliver a lesson to a classroom of students whose devices aren’t working will soon find that order is removed very quickly. This is why any educational body using iPad's or tablets in the classroom needs to ensure that these devices can be repaired or replaced very quickly and effectively. Whether the iPad is suffering from a cracked screen, a common complaint from youngsters, not charging or it won’t load up, you need effective support and assistance in a hurry. Our educational repairs offer a full service. We collect the iPad, repair and have it delivered back to you via courier. Pickup is free for 2 or more iPad's, return of the iPad is always free! Our engineers, fully trained, having attention to detail, thus providing you with a high quality iPad repair. Your data is also safe in our hands and you will not lose any of it. We are happy to guarantee all our iPad repairs for 12 months. 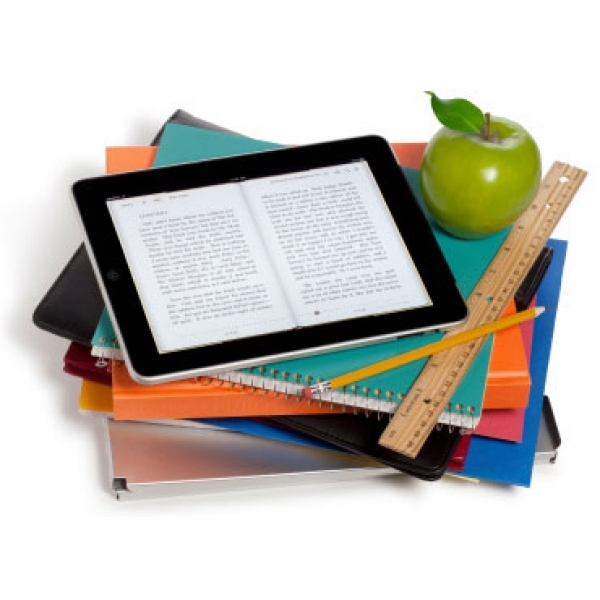 At iTech Repair we understand how important iPad's are for schools, colleges, academies and universities. As such, you will be allocated your own account manager providing you with a single point of contact who will be responsible for all of your repairs. All schools, colleges, academies and universities are provided with instant credit, allowing you to pay on invoice. We offer flexible 30 day payment terms on all educational accounts. Repairs are fast, we aim to complete repairs in 2-4 working days or sooner. Fast Track repairs will be completed and return shipped the same day they arrive with us. We provide affordable and effective iPad repair services for education. We appreciate that many schools and academic institutions have tight budgets at the moment and it may be that the introduction of the tablets to the classroom covered most of their budget. This means that there is not much left to cover repair work, but this is where we are happy to provide our services. We are iPad repair specialists and as we have considerable experience in working with these devices, we can provide a fast and effective service without compromising on quality. If you are looking for a reliable repair service that is available at an affordable price which will help you to maintain the studies of your students, please get in touch. We are pleased to say that we have provided fast and effective iPad repair services for many schools, colleges and universities and we can provide you with recommendations and testimonials from the bodies that we have already helped. The advancement of affordable technology has provided many ways for students to learn in a more effective manner but technology is only good if it works. If you want to ensure that all of your pupils are able to learn in the best possible manner, having the support of a reliable and trustworthy iPad repair team, we can offer you confidence. For the best standard of iPad repairs for education, please get in touch and we will be more than happy to ensure your classes or study groups keep learning. Give us a call on 0845 474 4728 or use our Contact Us page to learn how we can help you today.